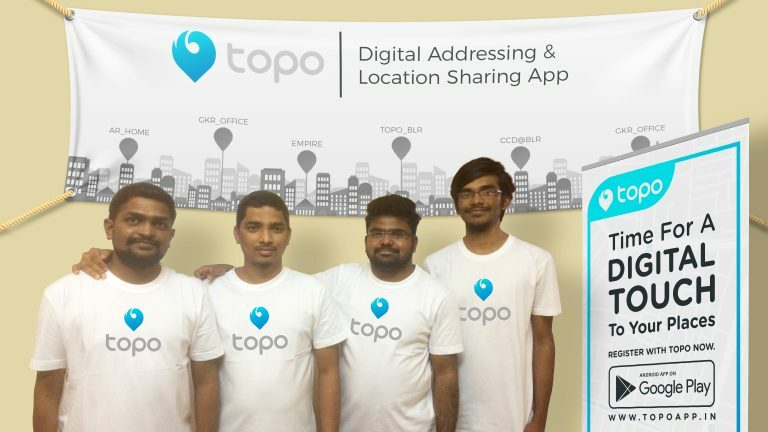 Read more About this Startup Who recently Launched a Digital Address and Location sharing App "ToPo"
Why should I use TOPO? We started this 2 months back and released the Mobile App just on 14th January 2018 with a team of 5 people. Before this, we are running another startup which is Uber model in logistics Lastmiledelivery. We provided a platform where people can make money by delivering parcels in their free time and in nearby Area. When drivers go for delivery of goods they are facing so many problems to find out the exact customer address. This is the moment we got this idea to link a user-friendly id with the customer location. TOPO is for all those who tend to reach any destination in the world without any confusion. This Application directly routes you with a complete way guide to your destination. This single location sharing application has become a golden flower for most of the business organizations who deliver goods and services to their customer. We are 2 co-founders and 4 team members. 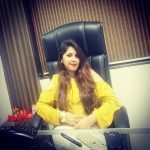 Grown up with a lot of struggles in life, Graduated from VR Siddhartha Engg college and had 6 years of technology in IT Field and Marketing experience as well. Had excellent technical knowledge and a quick learner. By the age of 18 years, it self-Started showing interest in Technology. Graduated from Gudur Narayana College and had 5 years technical experience in IT. We both founders are classmates, colleagues and best friends from past 12 years. Pavan Kumar Reddy|UI/Ux Designer: Having 2 years experience. When you use what’s App to share your current location 50-100meters deviation will be there, within that 50-100 mts it’s very difficult to find out the exact location. Google maps you have only 2 options to save your location either home and office and you can’t share the location with name identified by that. You can share live location through google maps, no particular location. TOPO provides unique user-friendly names to your locations. It’s unique like Gmail id. You can use TOPO id in all E-commerce and Hyperlocal delivery (Food, Grocery, laundry, saloon, etc.…) websites while checkout instead of entering the whole lengthy address, such that delivery boy won’t hassle you for address identification while delivery. When you register with TOPO App you will get one pin, which is showing in the TOP left corner. This pin you need to enter along with TOPO Id while checkout. You can see nearby places to that particular TOPO Id. (In google maps also you can see nearby places for current location, not for every location). You can BOOK OLA and UBER to a specific location through TOPO, with TOPO need not enter destination location every time and you will reach exact location. In future versions, you can order Food, Grocery, laundry etc. through TOPO App itself. If it is public TOPO id you can share it through offline also because there is no approval required. You can share your location from TOPO App through what’s App, message and all other mediums, the other person need not have the TOPO App. You can create TOPO ids from the website topoapp.in as well. Once you click on saved TOPO, you can live to navigate to the exact location. You can choose your TOPO as public/private if you don’t want to allow everyone to your location you can choose it as private or else if it is business/office you can choose it as public. For private TOPO if someone trying to navigate to your location, you will get a notification for approval if it is the first time. Once you give approval you can live to track them like where they are now and what time they will reach you. Once you reach the destination you can click on navigate once again which is in red color. You can stop live tracking. If you are a business/shop, you can keep it as public and you can register your timings, your type of operations and much more for better visibility. If you are a business with a website, you can integrate your TOPO Id in your contact us page instead of being shown the Physical address. The user can book OLA and Uber from your contact us page itself to your location. You can request TOPO id through TOPO app itself if the other person is having the TOPO App. 1). 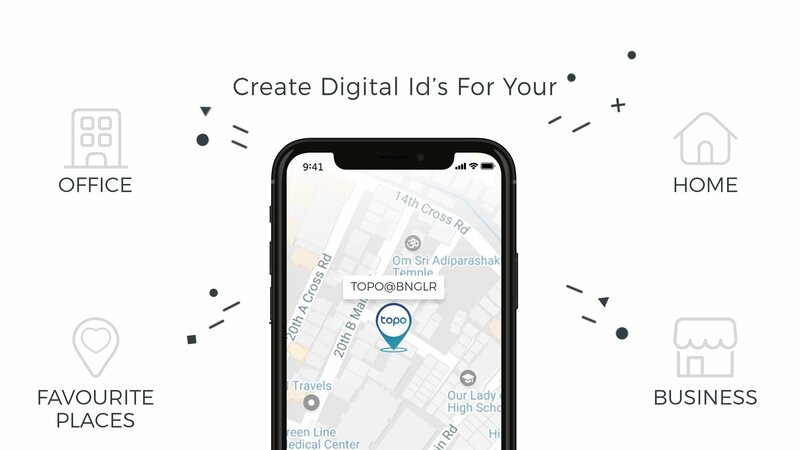 TOPO helps you to guide people to your location by creating digital Id to your home, office, and business. 2). You can use TOPO id as shipping address in e-commerce websites, So delivery persons will come to your doorstep without hassling you. 4) You can navigate, book UBER and OLA cab and check nearby places for TOPO ids. As of now got funding from friends and family around $25K and now actively raising funds. The biggest opportunity is an unexplored market and less competition but strong competitors. When I am on my Deathbed I should feel 90% satisfied with all aspects and God should hit a pat on my shoulder, that you did it. Get an Innovative idea and be ready for rejection and failure. Draw a business Plan whether it’s good or bad. Because the bad plan is better than having no plan. Execute it immediately don’t think too much, once you decided to go ahead.